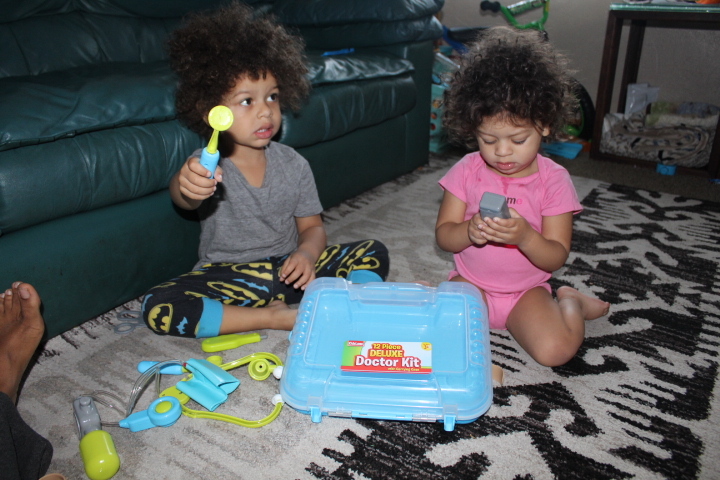 Ahhh I wanted to be a pediatrician when I was little and you best believe that a doctor kit was in my rotation of toys! I am a firm believer in the importance of pretend play and jump at any chance to expand my children’s imaginations! 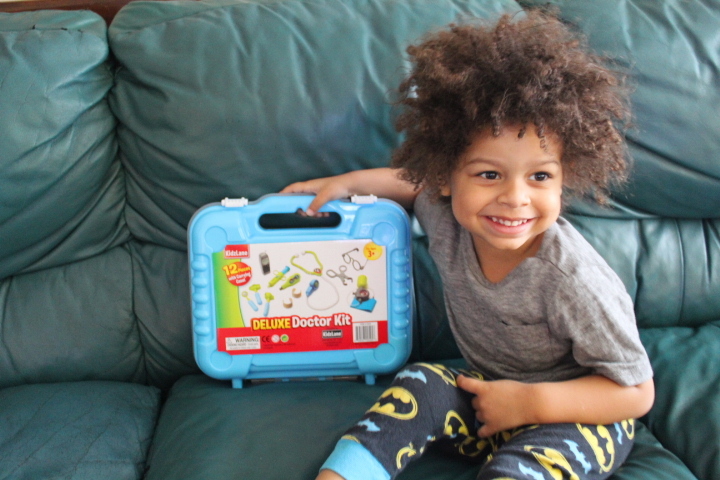 I was given the opportunity to receive a Kidzlane Deluxe Doctor Kit in exchange for an honest review and jumped at the chance!! You can click the above link to purchase your own! My kids were super excited to receive this toy and were beyond eager to tear into it to pretend play! 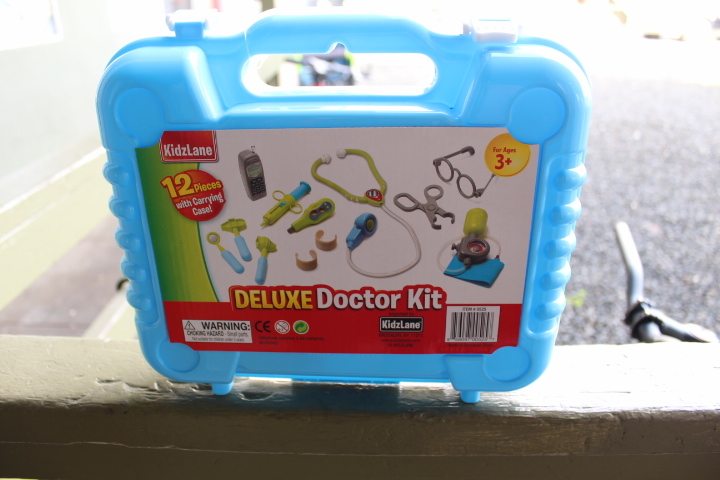 This Doctors Kit was full of everything you need. Inside of the box there are 12 pieces within a cute carrying case to make it look official! 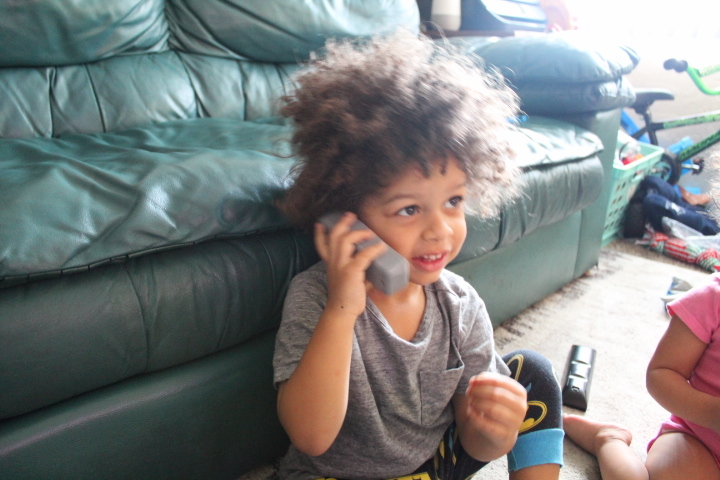 How cute is his little phone and bandaid! Love it! 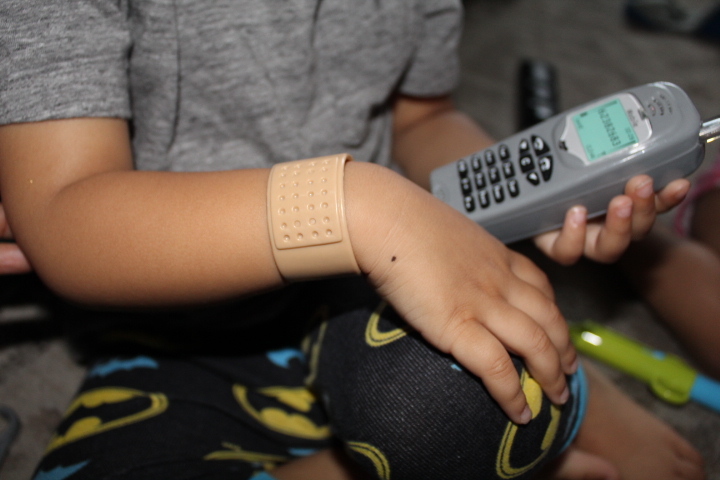 There is a cellphone, magnifying glass, stethoscope, band aids, surgical scissors, a blood pressure cuff, glasses, a needle, thermometer, an Ophthalmoscope and a percussion hammer! 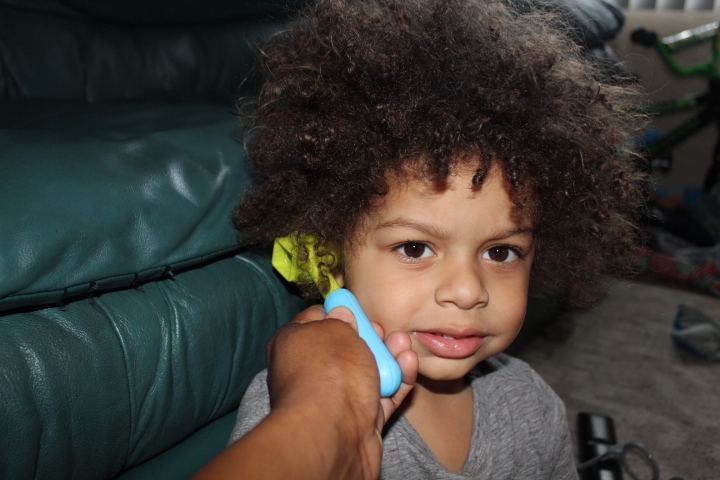 Checkin those ears for clear canals! 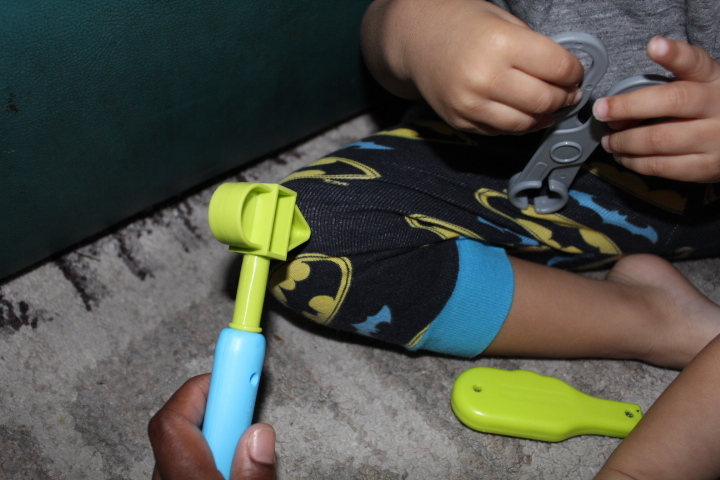 Pretend play is super important in my household and I love how innovative this little toy challenges my kids to be. 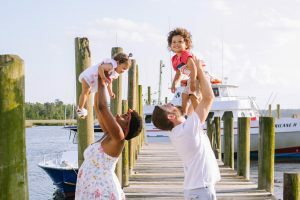 It is also an important factor of help in easing kids into trusting doctors visits. Being a small child at your first doctors visit can be terrifying. 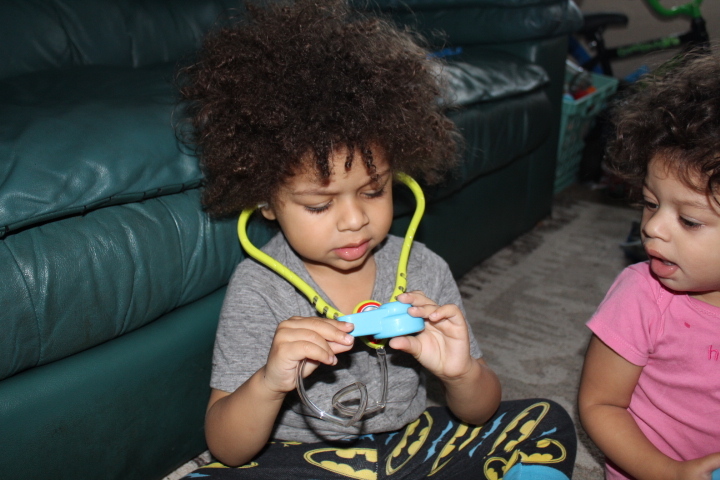 With the help of the Kidzlane Doctor Kit I am capable of easing my kids questions about doctor tools hands on. Mommy can you check out my throat with this cool tool?? Checkin his sisters heartbeat!! How cute is thisss!!! Checkin those young knees for reflexes!!! I definitely recommend this toy to all the imaginative kiddos out there. 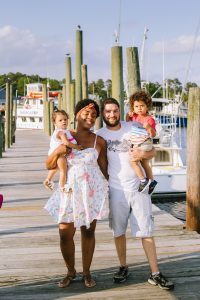 To the parents, this was a definite win in my Mom book with my babes! 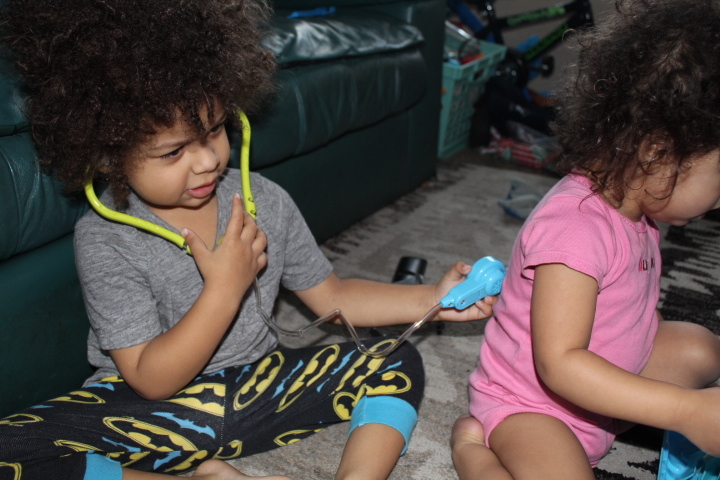 They loved pretending to heal one another with medicine and checking eachothers vitals! Kidzlane for the WIN!